No one really likes paperwork, but it is a necessary part of life. 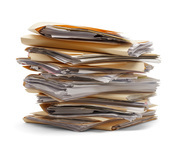 This section contains a variety of paperwork that you need to familiarize yourself with. Your PC will be in touch with more information about the forms that need to be completed before your project. Each volunteer (18 years and older) will be required to sign a release of liability form before participating on an ISF project. Each volunteer will be asked to complete the media consent form. There are 3 forms that will be required for any volunteers under the age of 18. The first is a release of liability, and the second is a medical treatment authorization form. The third form is a travel affidavit. Please read the instruction page first so that you know which ONE of the following forms needs to be completed for the specific situation of the minor volunteer.